If you are recently out of bankruptcy youâ€™re going to face challenges, one of which will be to re-establish your credit. You might think that once you file for bankruptcy youâ€™ll never borrow money again, but the reality of life in the 21st Century is that you will need credit at some point. And rest assured, even with a bankruptcy in your past, you will be able get credit again. There will of course be some limitations, but you should be able overcome all of them in due time. Here some tips to help you along the way. 1. Lower your expectations â€“ for a while. If youâ€™ve only been out of bankruptcy for a few months, you shouldnâ€™t be thinking in terms of buying a house or a new car, or taking on any major purchases that will involve the use of credit. The worst time in a bankruptcy is right after itâ€™s over. Youâ€™ll be able to borrow money soon enough, but youâ€™ll have to lower your expectations until then. As a rule, mortgage lenders will not work with you unless your bankruptcy was discharged at least four years ago in the case of a Chapter 7 bankruptcy. If however you did a Chapter 13 bankruptcy, mortgage lenders will work with you in as little as two years after filing. In the meantime, practice living your life without some of the big ticket amenities youâ€™ve had in the past. Rent a house or an apartment, drive a used car, and forego vacations for a couple of years. Practice living frugally â€“ you’ll need to from now on. 2. Never be afraid to go forward. Once your bankruptcy has been discharged, you may be afraid that you canâ€™t do anything â€“ even get an apartment, an insurance policy or apply for jobs and do some interviews. But that can be a bad strategy. You need to get moving in a positive direction as soon as your bankruptcy is over. A big part of the process of re-establishing your credit is a matter of getting out and getting involved in business transactions. Yes, there will be obstacles, but coming out of bankruptcy is a process â€“ not an event. Youâ€™ll have to work at it gradually. If you file for bankruptcy itâ€™s likely that insufficient income had something to do with it. In order to rebuild your life and your credit, youâ€™ll have to work to increase your income, and that will mean applying for better jobs (or starting a small business). While itâ€™s true that some employers wonâ€™t hire you with a recent bankruptcy, that isnâ€™t true of all employers. Some employers may see your bankruptcy as a fresh start. You will be anxious to re-establish yourself, and you wonâ€™t be burdened down by all of the debt that you had before you declared bankruptcy. Whether itâ€™s applying for a job, an apartment, or an insurance policy, understand that there many people in the world today who have poor credit. A lot of companies will do business with you in spite of your bankruptcy, and see it as part of the risk of doing business. Your credit may be impaired, but that doesn’t mean you won’t be a good employee or customer. 3. From now on, no more late payments or collections. You will have to be absolutely committed to making your payments on time going forward. No more late payments, no more collections. This will also mean that you will no longer take on obligations that you cannot reasonably afford to cover. Youâ€™ll have to keep your basic expenses to an absolute minimum, and work on becoming a saver rather than a borrower. A bankruptcy is one big credit strike against you, but it isnâ€™t terminal. However, if you continue making late payments and incurring collections after your bankruptcy, you will come to be viewed as a habitual credit problem. Thatâ€™s an even bigger problem than having a bankruptcy. 4. Start by opening one line of credit. At some point after your bankruptcy you should borrow so that you can begin the process of re-establishing credit. You may think that you cannot get a loan as a result of your credit but that isnâ€™t true. Many lenders â€“ credit card companies in particular â€“ will actually be anxious to lend to you after a bankruptcy. They will do this because (a) you have no other debt after bankruptcy, and, (b) you are legally prohibited from filing for bankruptcy for another eight years. In some ways this actually makes you a lower risk than customers who never filed for bankruptcy. Start by applying for one credit card. Make it a small one â€“ a $1,000 credit line should do. Over the first few months borrow small amounts on the card, maybe $100 or $200 each month, and pay the entire balance when the bill comes due. Do not keep a running balance! 5. Build your credit slowly. 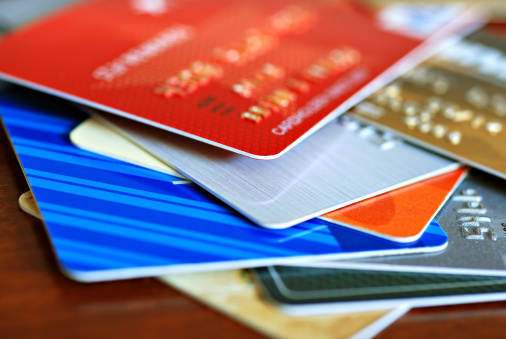 If you build an excellent credit rating on a single credit card for a year or so, youâ€™ll start attracting new offers. You might open a second credit card, but donâ€™t go much beyond that. Sure, or credit lines with low balances and on-time payments will improve your credit profile quickly. But you donâ€™t want to do anything that might get you back in the situation that caused you to file for bankruptcy in the first place. Start with one credit line, then go to two, and by then youâ€™ll be ready to take on a car loan. No matter what, on any new loans be sure that you borrow beneath your ability to pay and never above it. Time, and a good pay history will slowly minimize the effect of the bankruptcy on your credit. 6. Watch bankruptcy fade into the shadows. As bad as a bankruptcy is, it will eventually go away. Chapter 13 bankruptcies fall off your credit report after seven years, while a Chapter 7 will disappear after 10 years. But as each year passes after your discharge, the impact of the bankruptcy on your credit will diminish even before it disappears from your credit report. And as you build up new credit with good ratings, the bankruptcy will matter even less. If you have ever filed for bankruptcy, what did you do to re-establish your credit after? Leave a comment! It will be hard to get back on your feet again but it can be done. Before you rebuild your life again, you first might want to remove all inaccurate and wrong information. Then you can go rebuild you credit scores. Yes, and that’s bound to happen with a bankruptcy. Credit reporting after a bankruptcy is notoriously inaccurate, so you have to stay on top of your report periodically.